Japanese Language training for corporate personnel, management, expats and their families. We think we’ve got all the information covered, but if you can’t find the answer you’re looking for, then please contact us so we can help. Where can I take my course? We work with clients across the globe and can boast a truly international presence to meet your worldwide requirements. We have an unrivalled team of more than 2,500 language trainers worldwide, delivering training in 150+ countries. You can take your Japanese course in any global location; city or remote village we can provide training at your office, home or preferred location. How do I take my course? We offer full flexibility of course options and scheduling. You can take your training how and when it suits you. All training is arranged to fit in with your business schedules, and can also be arranged outside of the normal working day. One to One – Face-to- face training with one of our experienced native trainers at either your office or home. Group On-site – Small group training taken on-site at your offices, with one of our language trainers. Virtual Training – Internet-based remote live training via platforms such as Skype and Google Hangouts with one of our specialised trainers. E-learning – A self-study software package available from beginner to upper intermediate levels. The content of our language training is always tailored to the precise needs of each learner. This means we do not follow a “one-size-fits-all” approach, but rather deliver bespoke content based on the requirements of each delegate. We evaluate these requirements through a thorough pre-course needs analysis. The content will focus on your professional and everyday activities, job function, lifestyle and skill expertise. For spouses and families, the emphasis is on instantly applicable language skills to enable immediate practical day-to-day communication and an effective social interface. Our courses employ the ELAM (Empirical Language Acquisition Model) involving a systematic acquisition of language, in which you are immediately “trained” to use in a verbal, practical and functional way. This method aims to produce confident oral and aural fluency, and essentially through constant usage, is designed to facilitate long term memory retention in adult learners. One of our experienced native business language trainers from our global network of over 2,500 trainers will be assigned to your course after we have conducted your needs analysis. All of our professional trainers have a minimum of 3 years’ teaching experience with the required qualifications and background checks and are provided training in Directors languages’ unique ELAM language acquisition model. We assess your Japanese level using the Common European Framework of Reference for Languages (CEFR) as seen below. To request a proposal for a Japanese course or for information on our fees, then please call us on +44 (0)1628 778 476 to discuss your language requirements. Or submit an enquiry on our website. 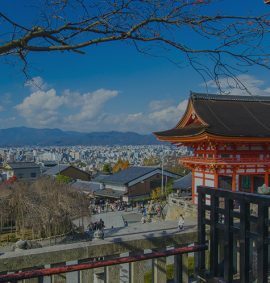 This course will enable you to travel in and around Japan using some basic Japanese. The language acquired will help enable initial contact, both face-to-face and over the telephone, and support a warmer interface with those you meet. Typically, you will be able to deal with practical functions such as hotel accommodation, transport (taxis etc. ), restaurants, purchases, and be able to present yourself in Japanese on a social and business level. Outstanding expertize, very well structured approach, also the friendly character of our trainer made the cooperation over many weeks a very positive experience in areabic.